Here is just a quick post to share a delightful drink I have created that is actually fits in with the GAPS Intro diet regime which after a week of broth and meat eating filled me with excitement and as this is a GAPS themed week I thought I would quickly share it with you. 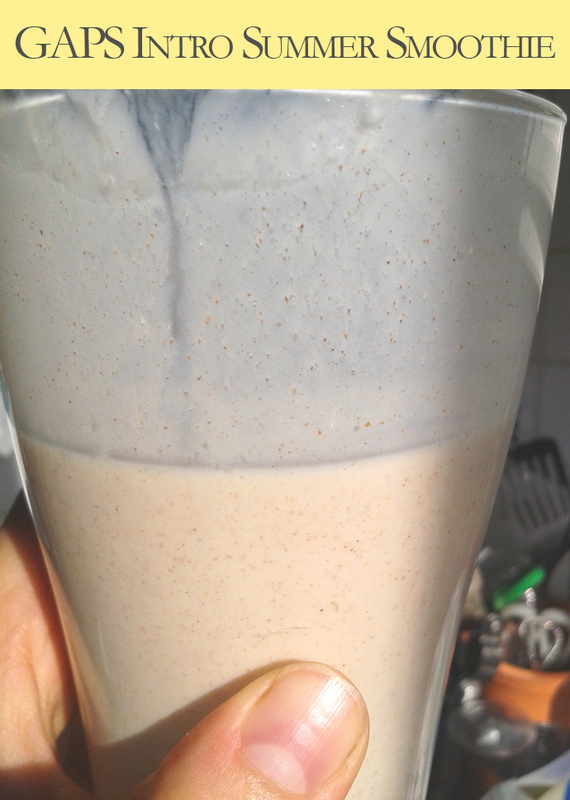 So grab yourself a blender shove in about 1 1/2 cups of Kefir, 1-2 tspn of cinnamon, 1-2 tbspn of raw honey , 1/2 cup water blend it all up and then add some ice if its hot outside . Simple probiotic, healing and refreshing drink that when you are on GAPS intro eating mainly broth in the summer sun, makes you feel a bit normal.